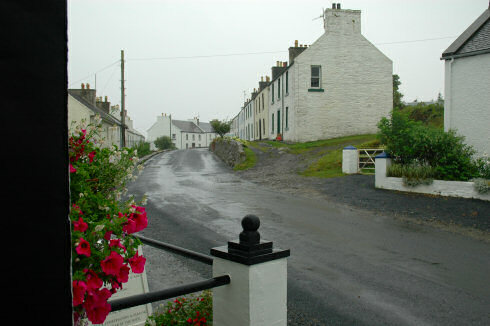 The pictures on in particular Wednesday but also Thursday this week were sunny, why is this weeks Friday Islay Picture of a rainy Main Street in Port Charlotte? Why not more sunshine to get us into the mood for the weekend? Well, this is the Spring Bank Holiday weekend and in addition the Islay Festival begins this weekend. So guess what? The weather forecast for Swindon (from where I'm writing this blog) is pretty horrible, the weather forecast for Islay isn't much better. Thought I post a matching picture then. Anything good in this? The forecasters have been wrong before, so may be it will turn out nice after all. And if it doesn't and it rains a lot then I should have a lot of time to work on the Islay Walking Week 2007 travelogue and make some good progress. Either way, have a great weekend and if you're on Islay a great festival!